Have you ever had one of those dead-end jobs where you’re overworked, underpaid and the only thing worse than waking up at the crack of dawn to go to a job you hate is listening to your wife or girlfriend complain about how much your employer takes advantage of you and how you could do better elsewhere? These days, being a Rays fan must be equally as difficult. Despite winning the American League East two out of the last three seasons and making it to the 2008 World Series, the Rays (and their fans) still bear the burden of facing a continually shrinking payroll, tireless national ridicule for playing in what’s commonly considered the worst stadium in the league and having to compete in the same division as the two Goliaths of baseball. The trading deadline came and went with the Rays roster remaining intact, but prior to that, rumors swirled that Tampa Bay was entertaining offers for centerfielder, BJ Upton, and their current best pitcher, “Big Game” James Shields. For Tampa Bay, unloading salaries has become una cosa de business. Last summer, Rays’ ownership was forced to slash payroll. The market simply doesn’t allow them to spend $200 million a year like their AL East counterparts, Boston and New York. The Rays currently spend about one-fifth that. Which brings us back to Upton and Shields, and a few others that have come and gone. 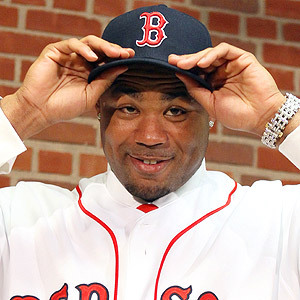 Fan favorite and all-time Rays hit leader, Carl Crawford, jumped ship for greener (monster) pastures. This summer, Crawford signed a seven-year, $142 million contract with division-rival Boston, and as much as it pains Rays fans to say this, Tampa Bay probably got the better end of that deal. Crawford has been hurt and has struggled when healthy. He’s Boston’s third highest paid player and is currently batting .247, fifty points below his career average. The Rays were also unable to keep Carlos Pena, who’s now making $10 million for the Chicago Cubs and batting .224, which is actually an improvement from last season. They also traded away starting pitcher Matt Garza, who now makes six million and boasts a 4-8 record. It’s hard not too look at these moves and suggest the Rays didn’t come out on top. But as long as Tampa remains Tampa, other moves will be have to be made to accommodate their budget which might not turn out as good. Such is the inequity of Major League Baseball. The Rays will again be forced to rebuild with young prospects who they can sign for pennies on the dollar but whether it’s one, three or five years down the road, those guys will have to be paid too. Therein lies the rub. Why, in their right mind, would a player, like Upton or Shields, want to stay on a team when they know their talents warrant considerably more elsewhere? Why wouldn’t David Price or anyone else of his magnitude test the market to see what it will bear? It’s what any agent, and certainly what any wife, would suggest. Who among us hasn’t made a career decision without consulting the boss? So here’s a friendly suggestion on how to keep the Rays intact and competitive: keep the wives happy. If I were Rays ownership (and they might be doing this already since they’re a shrewd bunch), I’d be wining and dining the players’ wives and showing them the best Tampa Bay has to offer. It’s the only way to be sure. Convince them they can live comfortably on $450,000 a year and that anything more is simply gluttonous. Who needs the hustle and bustle of an over-priced metropolis? Regale them with pedicures, flowers, day spas, car pooling and shopping sprees. (That’s what wives like, right?) 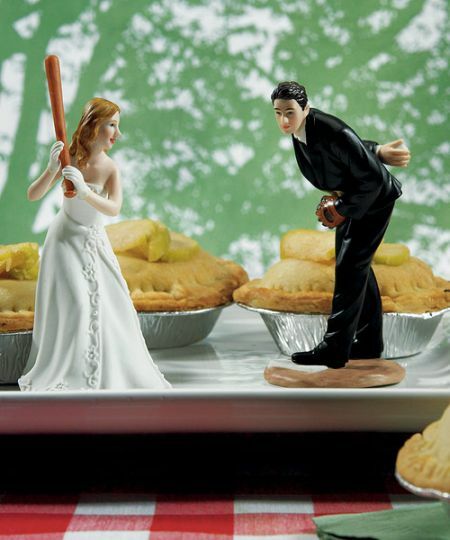 Trust me, get to the wives before Brian Cashman does. His expense account is considerably larger. Either way, as long as the Trop remains unfilled, Rays fans will have to continue to cheer for a revolving door of almost-stars. Unless of course, their wives can convince them to stay. Teaching them to hit would also be a plus. This entry was posted in Diamond, Featured and tagged American League, BJ Upton, Boston Red Sox, Brian Cashman, Carl Crawford, Carlos Pena, Chicago Cubs, James Shields, Matt Garza, New York Yankees, Tampa Bay Rays by Chris Humpherys. Bookmark the permalink. Does being in the military for 8 1/2 years count as a dead end job if you’re allowed to kill some people while under orders ? I loved my job while I was serving but only when it came to being in Ireland . We got cart-blanch to kill terrorists (IRA). The Rays are tumbling faster than the share price of Enron when they were on the brink of going belly up . And we all know how that baby ended up don’t we ? Sternberg needs to take on a silent partner with deep pockets . But as I’ve mentioned before the fans ….. in the Tampa Bay area haven’t cottoned unto that idea nor have the dumb a_s beat writers who continue to churn out the bs in the print media concerning the team and the organization ! We live for the Rays…… unfortunately the Rays are now said to be dying an ever so slow death ! Were you aware that Missy Elliot was suffering from the incurable Graves’ disease ? Hence the reason she’s been away from the music scene for a while . It’s a form of multiple sclerosis but in this case it affect the thyroid system rather than the muscular skeletal system . Tragic to now find this out about her ! The only way that the Rays’ players will be convinced to remain with the organization is if payroll is increased . And that we know ain’t gonna happen under any circumstance ! The Rays have a huge ten game home stand coming up where they’ll need to dig into that deficit. Three against Toronto, three against Oakland then four against KC. Winning seven out of ten should be the goal and anything less would be uncivilized. The problem with this team, or one of them at least, is that they’re so damn inconsistent offensively. One game they’ll explode for eight runs, the next time out they’ll struggle to get three hits. Leaves a fan frustrated. I think I had heard that about Missy Elliot. Shame. She put out some pretty good music there for a while and her videos were always top-notch. The Rays aren’t going to increase payroll until they draw fans and fans aren’t going to go to more games until they increase payroll… or move the stadium. A toast to the wives and girlfriends of our players. May they never meet. I honestly root for the Rays. Probably because I can’t stand the Sox or Yankess. I actually like how this team is built. All their outfielders look legit. Fuld, Jennings, and Joyce are going to be solid for the future. I have a feeling next year they’ll be back in contention. Who are they losing after this year? Do they lose any pitching or hitting? The way I see it there is really only one guy the Rays can ill-afford to lose and that’s their skipper, Joe Maddon. How else do you explain the fall off of those past Rays stars once they move on to much “Greener” pastures? Yeah, I know injuries have been a problem with Carl, but aren’t injuries more inherent with older players anyway? The Yanks and Red Sox have got to figure injuries into their roster formulas. They pay extravagant money for oft times injury-prone older players. It’s the nature of aging sports stars. Maddon is the Rays’ gem in the system and may well be the reason a new stadium gets built in the Tampa Bay region. The other option I’ve heard is that the Rays move to Connecticut, park themselves right between the Yanks and Red Sox and then go toe to toe on the free agent market with them and let me tell ya, if Maddon is involved in that scenario, the Rays will win year after year! It’s highly unlikely they ever will. Unless you’re Wade Boggs or Tiger Woods or something like that. That’s the thing, Chap. Even though they didn’t unload Shields and Upton, and I commend them for that, those guys both stand to make more money next year, and the following. Price will soon need to be paid. Eventually they’ll have to pony up to sign the good young talent they have. The next few years will be an interesting time for the Rays. Just like Upton, Rays fans have a love/hate relationship with Maddon. While they love him, they also complain relentlessly about how he’s strictly a numbers guy and that he tinkers with his lineup a little too much, rather than allowing hitters to settle into a comfort zone. Personally, I’m a fan of his and think he’s the right guy for the job. You bring up a good point about how ex-Rays struggle when they’re no longer under his tutelage. I want a manager that’s going to have his players’ backs through thick and thin and that man is Joe Maddon. “The reason that Shields, Price, Longoria, etc. don’t test the market is because they can’t. The Rays have all of them under their control for a while. It’s been rare as you mentioned that the Rays get burned by a player that left them. You could add Scott Kazmir to the list. I think it’s a great organization that does everything in it’s power to win every year. They just don’t have the resources to bring in free agents that could fill an immediate hole like the Yankees getting C.C. or Teixeira, so sometimes they fall a bit short. When the players reach free agency, they’re free to get the best deal they can and I don’t begrudge them for that. I know the Rays will continue to bring up more and more young studs. As much as I would hate to see Shields go, I’m sure the team wouldn’t feel that much of a void. How many other teams go to six starters just because they can’t decide who to take out of the rotation? I don’t think it’s tough to be a fan at all. The best athletes play in St. Pete. Given the team’s inconsistency how do you feel that the upcoming series will go ? The Jays , Royals and A’s it’s not as if in the previous meetings this season the Rays have overpowered those teams now is it ? If the team can’t find consistency then there’s no way in hell they will even have a shot at the wildcard berth . The stadium issue will become redundant and the whole area knows it ! They’re living under a damn rock ! The money won’t be coming from either Hillsborough or Pinellas much less the state legislature . So Moss retires expect to see him at the NASCAR tracks cheering on his Randy Moss Racing truck team . I’ll be in the area to see Weezy perform along with his posse . Ought to be a great spectacle ! Fifty or so games left in the season and the Yanks and Sox are playing pretty solid ball. 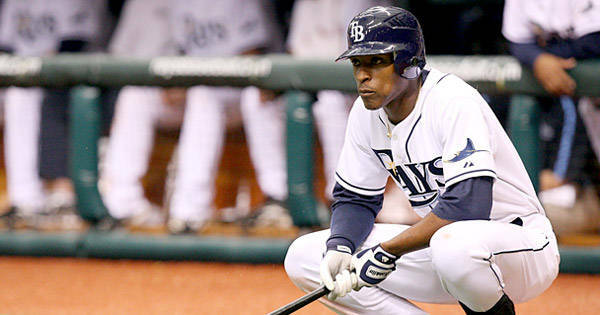 The Rays are going to have to step it up and, as you suggest, play a little more consistently. That’s not to say it can’t be done. Both Boston’s and New York’s starting pitching, dare I say, is nowhere near as solid as Tampa Bay’s. It’s their bats that are carrying them through and that’s where they hold a distinct advantage. I’m wondering what the off-season will bring in terms of new stadium talk. And let me ask you this about Moss. He’s without a doubt a first-ballot Hall of Famer. But do you think we got the best of him? What I mean is… do you think Moss was the best player he could have become? And tell Weezy I said hello. Apparently backstage at Weezy’s concert is meant to be a ” no alcohol and drug free zone” ? Oh that’s going to go down real well with Rick Ross and his entourage never mind the fact we know Weezy is partial to the “I and I ganja “ . Ought to be a great mash up and I’m certainly looking forward to it . As to the Rays this team was simply never good enough for the deed ! They’re not going to get the wildcard berth at all ! I can see he’s already gone the way of Aerosmith and other of rock’s reformed performers. Oh well. I remember the days when music used to be fun. It’s sad when because they’re on probation that overnight they stray from living that hedonistic lifestyle to become almost monk like in their demeanor. Is it me but Lew Wolff the A’s owner says that Frank McCourt’s ….. ownership of the Dodgers has been bad for the game of baseball ? Did hell suddenly freeze over within the last 48 hours ? The A’s owner suggesting that McCourt is bad for the game ……… so what are we all to make of his ownership and of the A’s and their descent into being completely abysmal ? I guess there’s no way you can fool some of the people all of the time unless they want to be fooled that is ! Lew Wolff needs to get off the meds and get a grip on life and what’s happening within his own midst . Moss gave his best … when he saw it fit to do so . As Cris Carter has said ….” other than Jerry Rice Moss is the second best WR to have ever played the game ” . And that’s from someone who knows something about playing the position . ‘nough said ! I’ll say hello to Weezy but I doubt he’ll know who I am . I hate the Tampa Bay Rays more 2day then I do the New York Yankees! And that’s sayin a lot bcause I hate those damn Yankees!! !… Red Sox’s game was great but they lost….. met Johnny Damon and Desmond Jennings of the Tampa Bay Rays!.